The English (at least the Anglo-Saxon variety) have had an uneasy relationship with the Continent since, say, 1066, so the recent BREXIT vote has been brewing awhile. Nativism, nationalism, even racism—all these and more have driven this vote, but perhaps nothing more than “just” globalization and one of the major crises it has brought almost all of us: identity. In the deepest book I know on globalization, Modernity at Large, Arjun Appadurai describes ideas, and goods, and money, and people flowing over five “scapes:” ethnoscapes, mediascapes, technoscapes, financescapes, and ideoscapes. “Implicit in this book,” he writes, “is a theory of ruptures”—not just change, but ruptures, violent breaks. And perhaps no break is fraught with more violence, in all its forms, as one that Appadurai and many others have speculated upon: the end of the nation-state, a prospect most of us simply cannot imagine. We can deal with all kinds of ruptures in the way we used to establish our identities, but take away our sense of belonging to a nation and that may be the last straw. Do all the “Take back our country” cries—the U.S. variant is “Make America Great Again”—signal just a break from, or a breaking away from globalization? In most ways there’s no going back, of course, but a recent Trump speech proposes blowing up NAFTA and many of the ways we’ve thought about global economic systems for decades. As for personal identity, is there anything for now as vital and embodied as being a citizen of a particular nation? Many have proposed other identity concepts for this age, especially “cosmopolitanism,” a citizen-of-the-world approach most forcefully proposed in recent times by Martha Nussbaum in her 1994 Boston Review essay “Patriotism and Cosmopolitanism,” and expanded on in Kwame Anthony Appiah’s book Cosmopolitanism: Ethics in a World of Strangers. But does “cosmopolitanism” provide a weighty enough anchor for identity? Some have suggested that the “anchor” metaphor is itself the problem, that identity should be conceived more as something floating—maybe “flowing”—rather than being anchored. This concept, however, is probably still too heady, too intellectual, especially to those substantial numbers of us who really aren’t that global or multicultural in the foods we eat, the music we listen to, the friends we have. 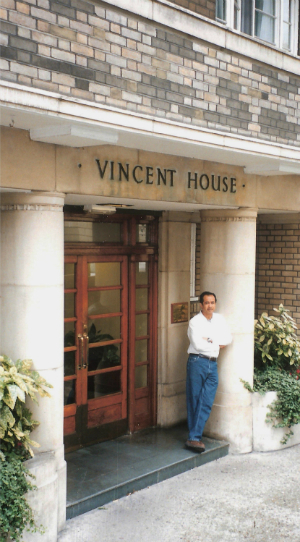 In 2000 I spent a semester teaching in London. Over a three-year period ending this January (2016) I posted a series titled Remembering London, essays constructed from the many journal entries made during my stay. My shock at the BREXIT vote was somewhat cushioned by my how much EU problems kept cropping up in my journals, even when discussing something as seemingly innocuous as cheese. (See “Nationalism and Cheese.”) I stayed at a zany residential hotel, Vincent House—a Fawlty Towers my wife called it—and sometimes my new friends’ suspicions and hatreds of the continent seemed comical. Not most of the time, however, because they were deep indeed and fraught with anxiety over British identity, an anxiety that found monumental expression in the historic vote last week. This entry was posted in Reviews & Commentary and tagged BREXIT, cosmopolitanism, Kwame Anthony Appiah, Martha Nussbaum, nationalism and identity, Remembering London, Trump. Bookmark the permalink.